In the previous article You Must Know Components Of Website ! 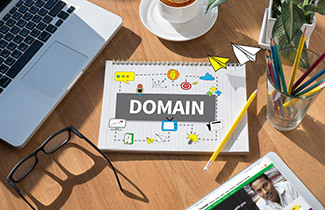 First part we covered was Domain Booking – (www.yourcompanyname.com) Cost wise very small yearly fee; but importance wise one of the most important part. It's important for you to understand what is Domain & precautions you need to take while booking the same. Before we go ahead to detail explanation lets start with understanding the world of Domain Name Servers. Domain Name Servers (DNS) act as a phone book. They keep up a UNIQUE directory of domain names and translate them to Internet Protocol (IP) addresses of the website. And to keep these records they charge nominal yearly fee. Complete domain selling chain works from Registrar – Reseller / Web Designer – & at the end to real consumer. Final cost to end customer vary in the range of Rs.600/= to Rs.1100/= Per domain per year; off-course it also depends on what kind of Domain / subdomain (such as .com, .in, .co.in) you book. Why should you as business owner worry about such a simple domain booking process? 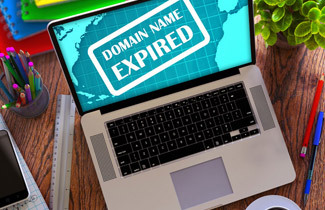 In reality you should not worry about the process; but you must know that domain name also has ownership and its act as Identity Card of your Website to claim access, transfer or change if your current service provider is not upto the mark. Registrant Contact – This is where you must insist to have your name, address, working email ID and phone number. Admin Contact – This is where your vendor or Website designer or whoever renew your domain can have their contact details; This contact receives Renewal Alerts. Technical Contact Name : This is normally a hosting company or web designer who is maintaining and running your site and used for alert related to technical error if any on the site. In addition every domain has Domain Control Login & Password. You must own this; If you have these details you are in full control; if you don't most of the time you are at mercy of your vendor. It's like you already paid for buying a property; but you still don't have key to use it. Any one can book any domain name been searched and available to book. If you don't renew it goes into open market and anyone / everyone can re-book it under their ownership, making you heavy looses as you were promoting this website address / domain name into all your promotions. And if your competitor buys it; Your clients will visit their site assuming its you. Many time you might not get domain name in the name of your brand or company name which is real popular among your consumers as it's already booked by some one else. And even if you own it technically you might not as you were not aware Registrant name belongs to person / company you appointed for booking it as his / her ownership. The concluding point is Domain Name is your very own Virtual Identity to your existing business Or an ID card to show that yes you are the owner of the website! Hence take domain booking as serious task ! After all its your Business!